Would you like to hear more about my adventures, travels or my middle grade novel? Are you interested in having me speak at your school, book club or your community? (eg. 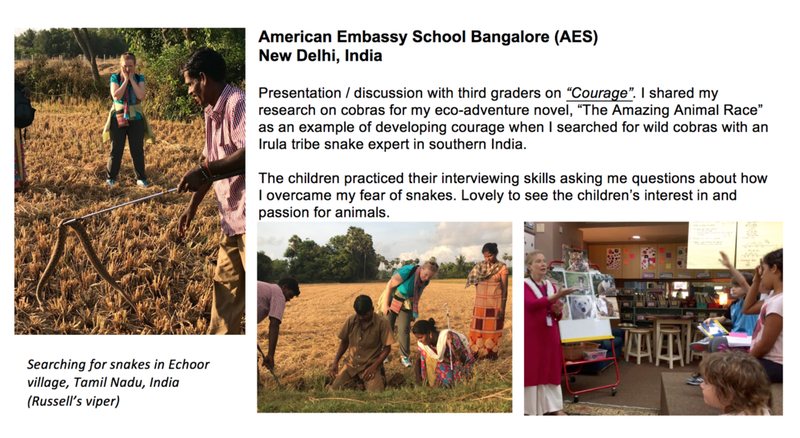 elements of a story, the writing process, the steps and learning from "A Passion Project", example of "A Hero's Journey", my field research on seven endangered animals) I'd love to join you ! Please contact me at dianaschaffter@gmail for more details, to discuss meeting you objectives and for scheduling.